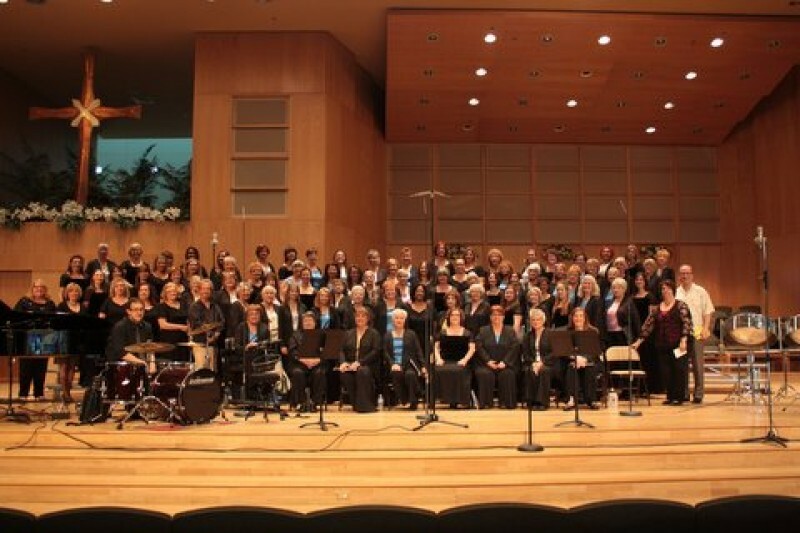 The 50 member Southern Arizona Women's Chorus (SAWC) has been invited to represent the United States as the sole choral performers for the official D-Day Commemorative services in France June 2-10, 2016. This memorial celebration will commemorate the 72nd anniversary of D- Day. As the official chorus, we sing at St.James American Cemetery wreath laying ceremony , provide the Musical Salute to Veterans at the D-Day Memorial Parade Sainte-Mere-Eglise, Normandy, and the wreath laying ceremony at the American Cemetery at Omaha Beach. We will also have a concert at the Luxembourg Gardens in Paris. Each of the 50 members is responsible for paying $3,000.00 for the trip. This includes their airfare, hotel, most meals, ground transportation, and site admissions. It will cost $150,000.00 for all 50 member's to travel and participate in this wonderful opportunity to represent Southern Arizona and the United States. Our women range from college students to retirees living on fixed incomes making the $3,000.00 very difficult or impossible to pay. Our first goal is $75,000.00 which will cover our tour costs. We will keep raising funds until we reach $150,000.00 which would fund the total trip. We would like your help to make this trip a reality for the entire chorus. Thank you to all those who have contributed so far to those of our members who can't afford the full funding to go and honor our WWII - and current Vets. We still need help!! We're grateful for whatever you can give. If you have a loved one who is buried in Normandy or St Johns, include their name. Spring Concert is done - thank you to all who attended. But we still need funding to get there. Anything will help - support your friends, mothers, sisters, wives.....as we go to help make this year's D-Day Wreath Laying Ceremonies a very memorable event. Thank you folks for supporting us. We have a long way to go to honor those WWII Veterans who are still alive as well as those who never made it home. If you have someone in your family who's buried there, why not honor them by making a donation. Your name will be listed as a supporter. Norbert T. Koch, just turned 90 in October, was aboard many planes during the war. He saw one of the atomic bombs being dropped in Japan, of course he didn't know what he was seeing at the time. He doesn't go into detail a lot about the bad parts, sometimes old scars are left closed. I am a friend of Barb Lamm's. Thank you all for sharing your music and representing Arizona! Bonnie Milne has shared with us the tremendous successes of your choir. Congratulations on this honor for June. This donation is on behalf of my husband, Ronald Breiger, who wants to honor the chorus. Good luck and have tons of fun in Paris! Have fun Mom from your Daughter Traci Sala please make sure the Entire $300 goes to Diane Sala .